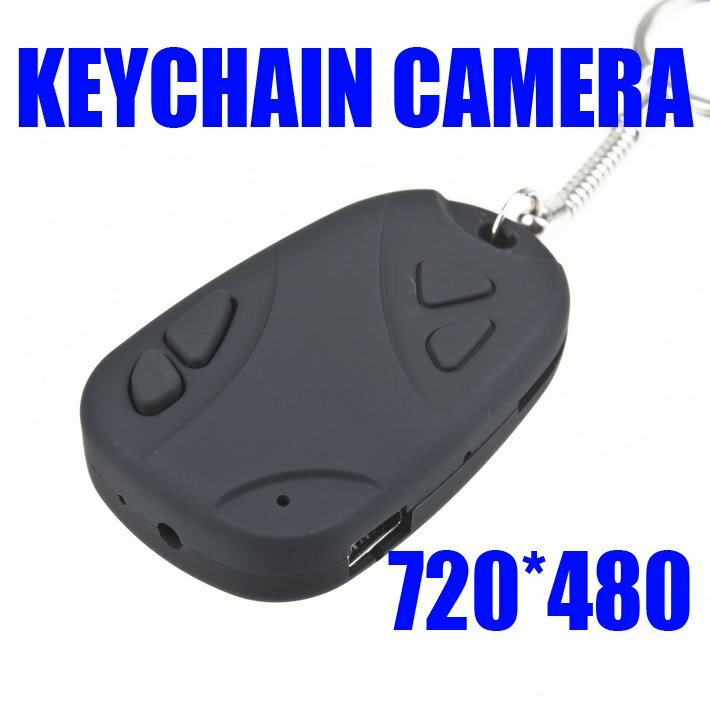 The 808 Car Keys Micro Camera allow you to place a covert camera right in front of someone without them suspecting a thing. 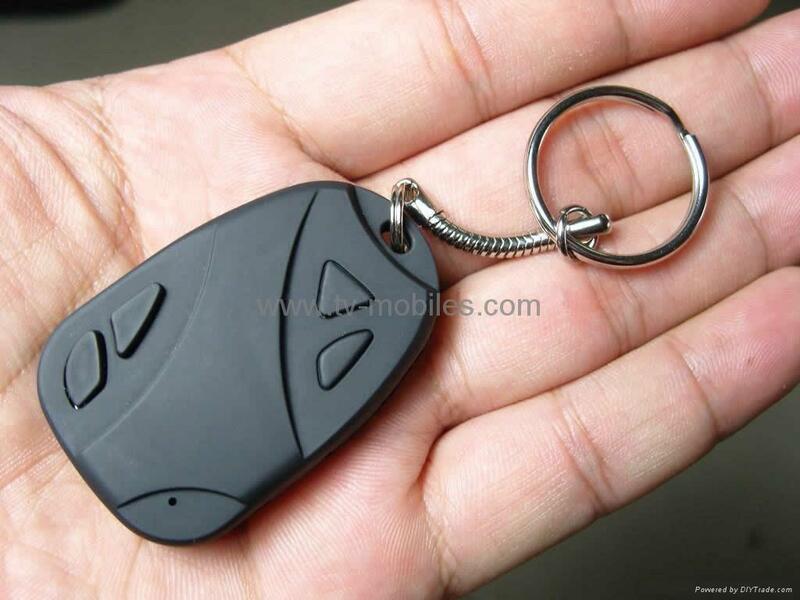 It Looks just like a remote car key but is really a hidden camera with audio and a built-in mini DVR. 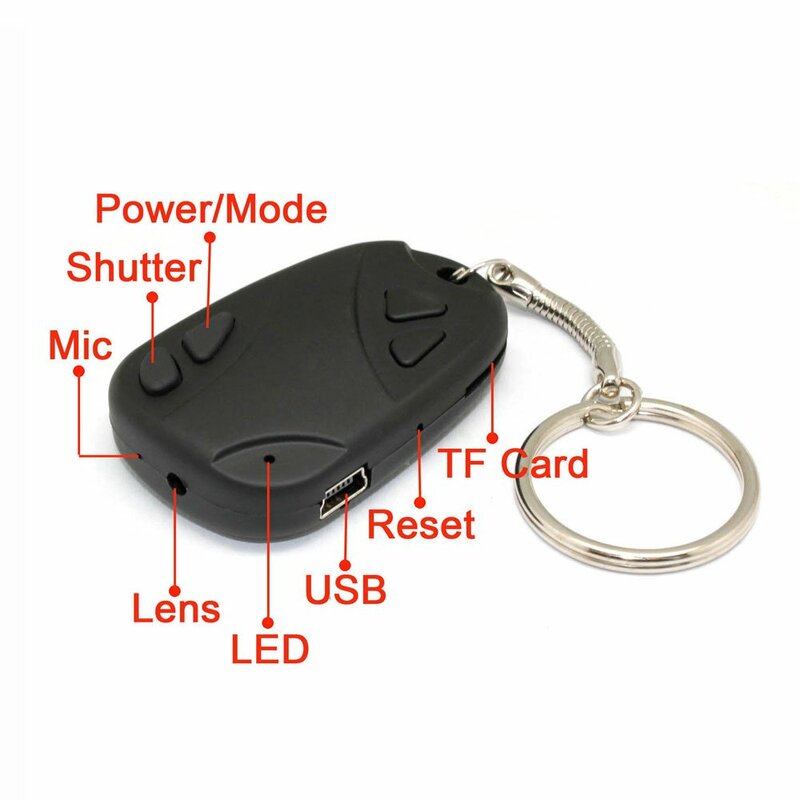 This Micro-Cam recorder is a super compact video/audio camcorder- Smaller and light, can be used as a normal car keys ring yet packed with high quality features. 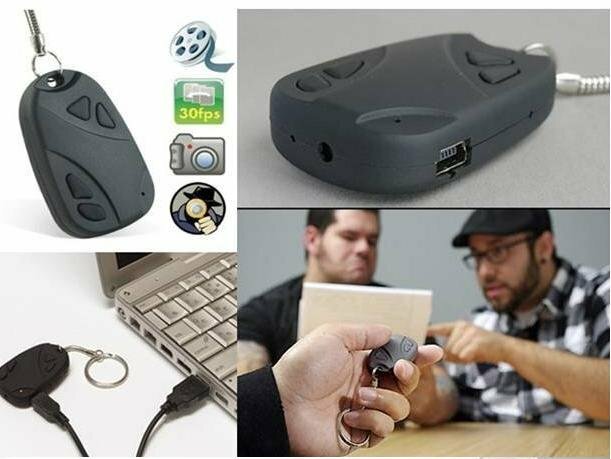 The Spy Car Remote DVR inAVIformat and thus you can use it with any software that supportsAVIfiles to view your video plus this little device can double as a webcam! It is very easy to use; with the convenient one button operation you can easily capture video on a moment notice, anytime anywhere. Simply press the button to take a photo, or “press and hold” to start recording video, it doesn’t get any easier than this! Fast and simpleUSBconnection also makes transferring the video or pictures directly to you computer with no additional software really easy. It is simple to use, just plug and play. 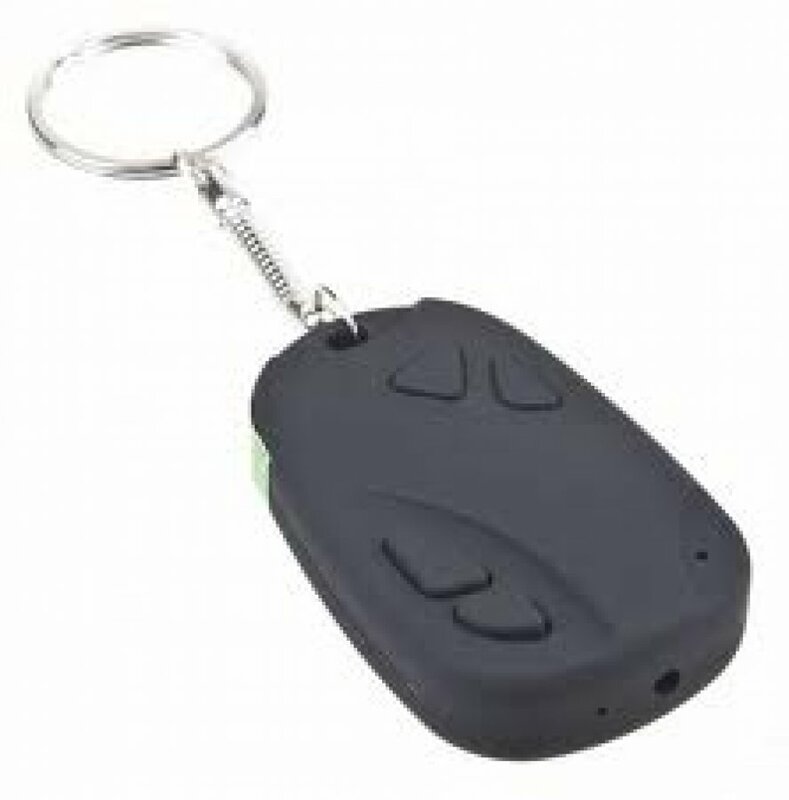 Carry the keychain remote spy camera with you on covert missions, capture secret video & audio, take on vacation or capture video memories with family and friends. o There are two function buttons. The one closest to the camera hole is designated REC. The other one is inboard of the REC button and designated ON/OFF. o 1. 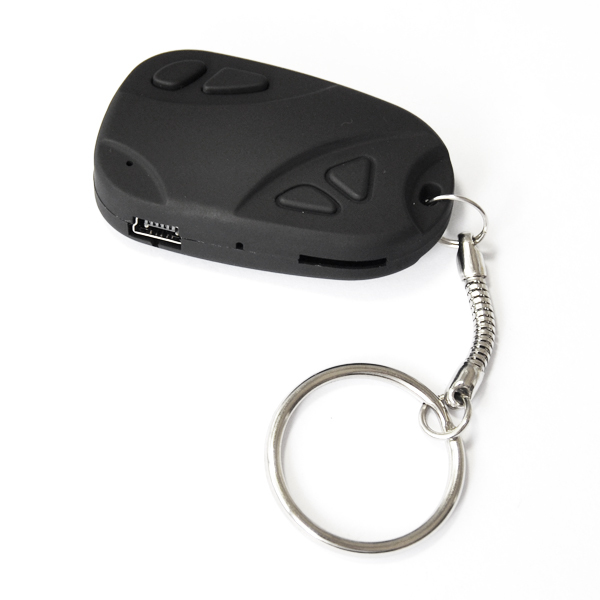 The device has a built-in rechargeable battery that needs to be fully charged when the device is new. o 3. Press and hold ON/OFF to turn on the device. The Yellow LED will turn on, which means the device is in STANDBY mode. o 4. Press and hold REC to start recording video. The yellow LED will blink fast three times, then turn off. This means that during video recording, the LED is not lit, which makes it less likely to be spotted. o 5. Press REC to pause video recording and save the recording to that point. The LED will turn on. The device is now in STANDBY mode. In STANDBY mode, press REC to take a still image. To continue recording, press and hold REC. o 6. To record a still image: Turn on the device by pressing and holding ON/OFF to enter STANDBY mode. The LED will turn on. Press REC to record a single still image. The LED will flash. Press REC for another image. Replace the date and time above with the values you want. Save the file. Turn the device off, then back on to reset the clock based on the text file. o 8. To turn off the device, press and hold ON/OFF until the LED goes out. o 9. The device powers off by itself after a period of inactivity. o 10. It's not necessary to power on the device to access recorded media via theUSBcable. Warning: Do not use this product for any illegal purpose, otherwise you may be subject to prosecutions under applicable laws.